Already, glorious lion’s mane jellyfish swim beautifully against a bright blue backdrop in the Jelly Gallery of the Pacific Seas Aquarium. They are mesmerizing. 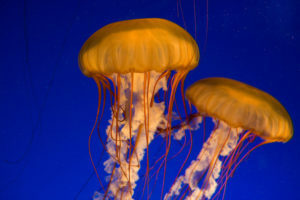 Their gelatinous, umbrella-shaped bells move water in and out, tentacles trailing below, as they move majestically through their watery space. The countdown is on. There are just 30 days until the new, state-of-the-art Pacific Seas Aquarium opens to the public at Point Defiance Zoo & Aquarium. Doors open at 9:30 a.m. Sept. 7 to the 35,000-square-foot building, the largest capital project in the 113-year history of the zoo. A visit to the new aquarium comes with admission or membership to the zoo. Parking is free. The state-of-the-art aquarium was financed in large measure through bonds approved by Tacoma voters in 2014. Since that Earth Day Election Day four years ago, people have been eagerly asking when the aquarium would be built. What would it look like? When would it open? Well, the wait is almost over. And those jellies are symbolic of the progress made every day as a team of skilled aquarists move a vast array of sea animals into their new habitats. Rockfish swim placidly in the 100,000-gallon Northwest Waters habitat, occasionally navigating around anemone-studded pilings. 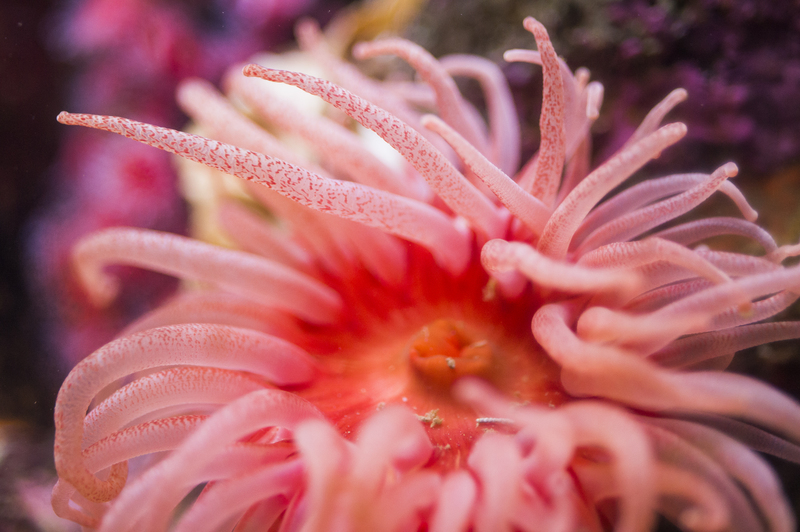 Staff divers spent hours moving the anemones into the habitat, carefully allowing them to attach to pilings and rocks in their new home. Nearby, Buddy the California sheephead – a longtime favorite of zoo guests – cruises through a sea of kelp in the Coastal Kelp Forest. He’s been joined by several species of rockfish. More animals are being added to the aquarium’s many habitats daily as aquarists and divers move them from the now-closed North Pacific Aquarium to their new homes. By Sept. 7, the Pacific Seas will be teeming with fish and sea animals from around the Pacific Rim. There will be Japanese spider crabs from Asian waters, cold-water species from the Northwest and subtropical animals like sea turtles, hammerhead sharks and spotted eagle rays, representing the waters off of Baja California. The aquarium won’t be 100 percent complete on Opening Day. Moving animals into a completely new environment is a complex process that requires great patience and skill, Aquatic Curator Neil Allen said. Part of the fun for guests will be coming back over the next many months to see what’s new as an aquarium that’s already amazing on Opening Day gets better and better as time goes on.